Blues captain Patrick Tuipulotu knows exactly what Damian McKenzie is going through. Four years ago he received the dreaded news that he would miss the World Cup, and he couldn't hold back the tears when realization struck. For a moment his world at least seemed … certainly his World Cup. But Tuipulotu is perhaps a case study for McKenzie to get some comfort from the fact that the talented Chiefs utility is working back with the news that his rugby has finished an ACL break for the year and that he will not play a role in a World Cup that he has spent the best part of four years for which he positioned himself. 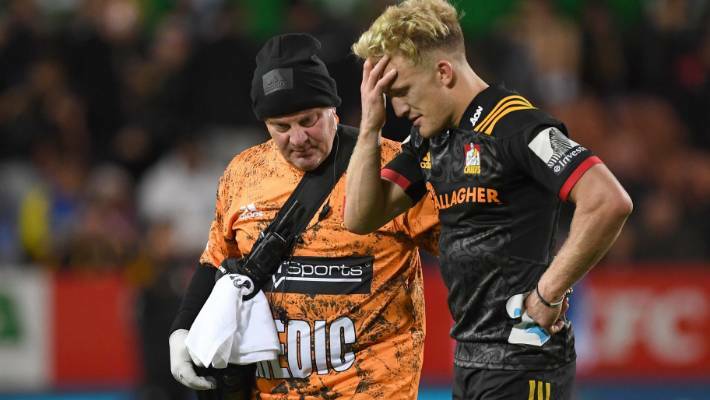 "It's pretty tough, especially for a player of Damian & # 39; s caliber," reflected Tuipulotu from the McKenzie injury suffered mid-way into the collision against the Blues in Hamilton on Saturday night. "He will be missed, but it is a reminder that one moment can take everything away." Tuipulotu, of course, missed the opportunity to participate in the 2015 tournament in England when he was banned halfway through the year, after being told that he needed a hip operation to extend his career. 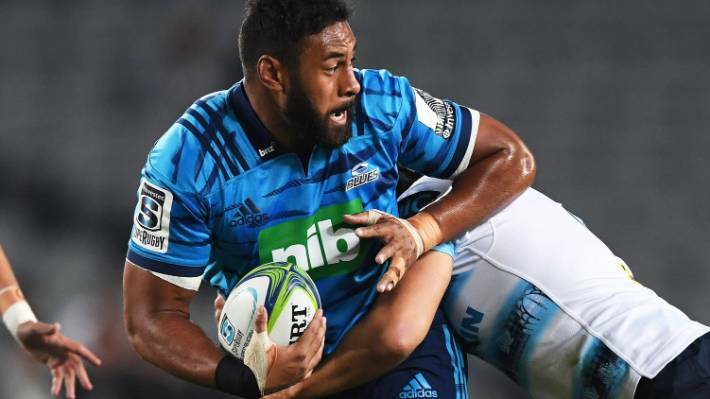 "I had to have the cartilage shave in my hips," Tuipuloto said stuff after the training session of Blues & Tuesday before their Saturday Super Rugby visit to the Highlanders. "It was bone to bone, and I had to undergo surgery on both of my hips. "I know firsthand what it feels like to miss a World Cup." Tuipulotu can remember the conversation that told him that his World Cup dream was over as if it were yesterday. "I remember seeing a specialist, he told me that if I wanted to have a long career, I had to undergo this operation, then I jumped in the car and there were a few tears when I thought: I'm going to miss the World Cup "But you have to roll with the punches and it is all part of the bigger picture." That big picture sees the 26-year-old lock, which recently re-committed itself for at least a year in New Zealand rugby, certainly reflected in the selection photo for the upcoming world championship in Japan. If they take four second rowers, which is likely, he tends to be there. He certainly pushes his case through a striking season for the greatly improved blues. That campaign hit the results in Hamilton on Saturday when the Blues had made a win of four games (all at home) and snapped to come back to 4-4 for the season. The captain described it as a defeat whose side will cost a lot. Patrick Tuipulotu says that Damian McKenzie will be missed if the World Cup runs around. 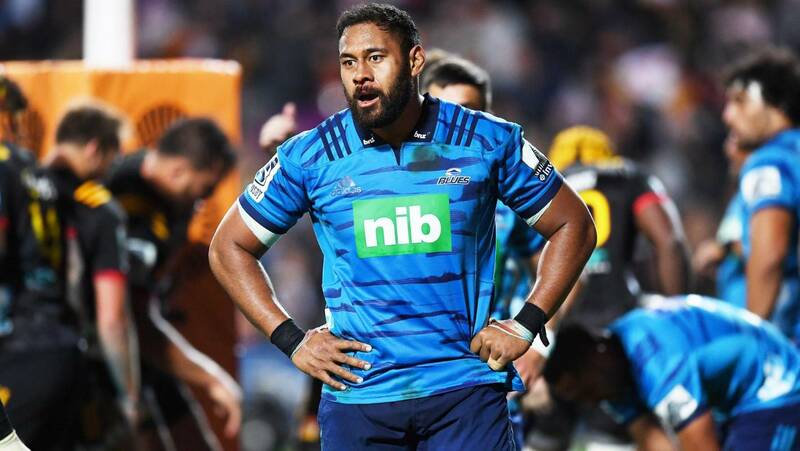 "It was a bit of a reality check for us," Tuipulotu reflected as the Blues still winless on the road against Kiwi teams since round 2 of 2013. "We were on a roll. There was a lot of outside noise that said we were on a roll also. "It is not good that we lost, but there are a number of important things that we must continue to work on. We have lost those key moments that are so great when you play a new team in New Zealand." Tuipulotu felt that the Blues missed part of the lead that had marked their game in the four consecutive wins. They dominated the ball possession (they ran over their opponents for almost twice as long and forced almost twice as many tackles) but were punished by a more predatory side. "We went away from what we did well, back to what we used to be. We all know that we can do better. That was not our best performance by far. We are not far away, but there is a feeling there yet have not been full Had an 80-minute execution. " This week, the struggling Highlanders, who have not won since week two and whose play-off hopes they are hanging on a string, present a formidable enemy. In Dunedin. Under that roof. Where that hoodoo hangs over the Blues again. "There is always a lot of motivation for us as a Blues team," Tuipulotu picked up. "Much of it just proves that other people are wrong. It is good to win, but we will have to do better than Saturday." Patrick Tuipulotu has the feeling that he plays rugby well, but & # 39; it can always get better & # 39 ;. Tuipulotu is also aware that he is playing for that World Cup dream four years later. He has parked the thought for now, but is well aware that form for the Blues will give him a place in the team for Japan. He is currently giving that form a satisfactory, with a "must get better" condition. "There is always room for improvement," he continues. "The next step is to walk that work rate around the park, and not miss five minutes here, or five minutes there. "I remember looking at old games when there were slots on the wings, now it's football players in the middle of the park who do everything, it's good, it makes the position fun, I enjoy getting a ball to get in my hands. "I try to get the ball early and as soon as I have a good first carry, the rest will come of course." Four years after the ultimate heartbreak, that dream lives on very much.